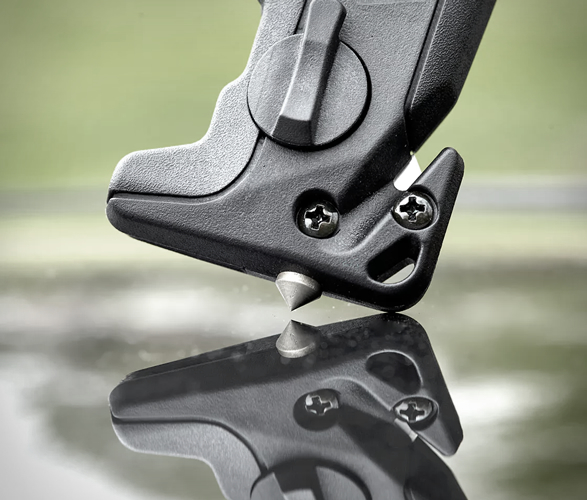 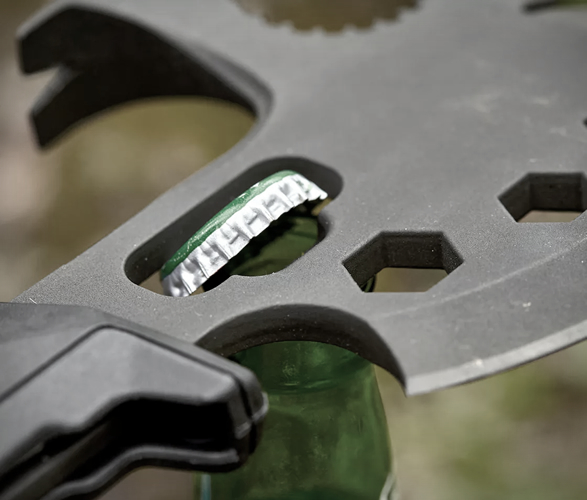 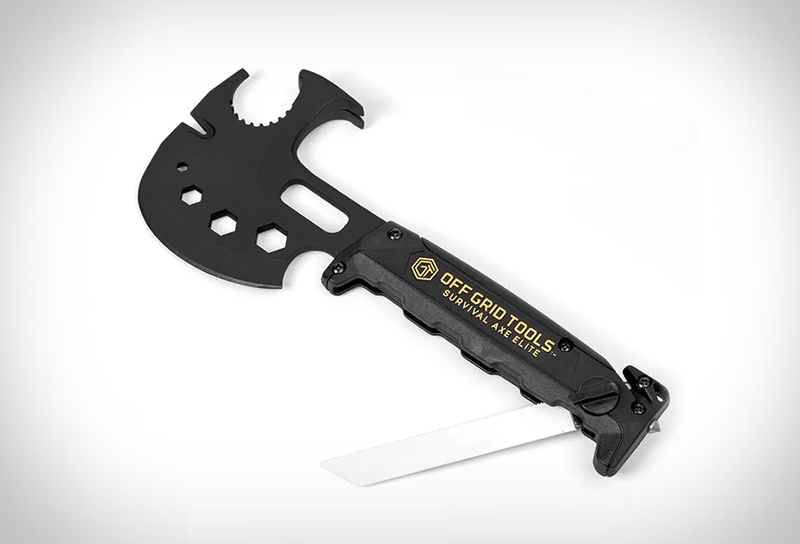 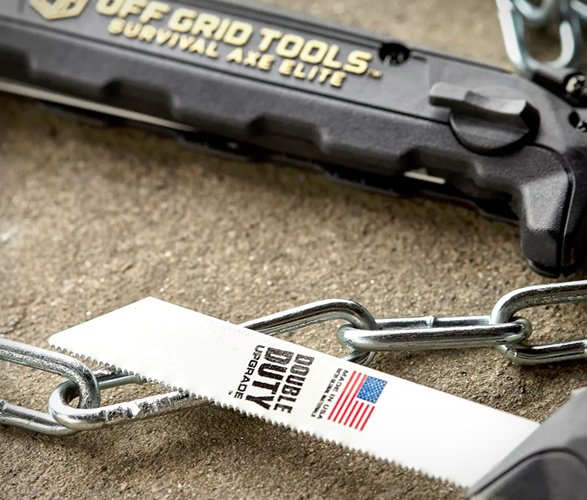 The functional Survival Axe Elite is a 20-in-1 Multi-Tool designed to meet the needs of even the most demanding outdoorsmen, firefighters, and rescue workers. 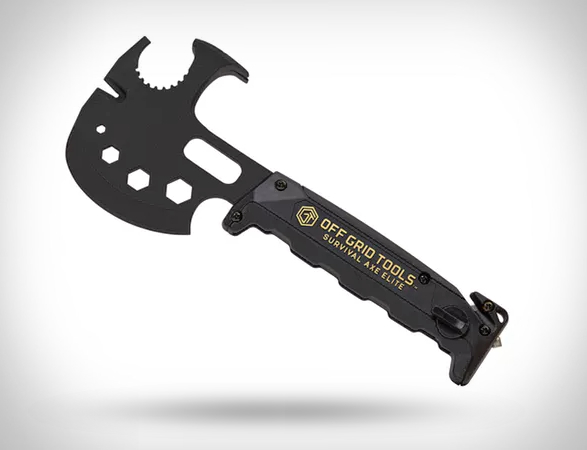 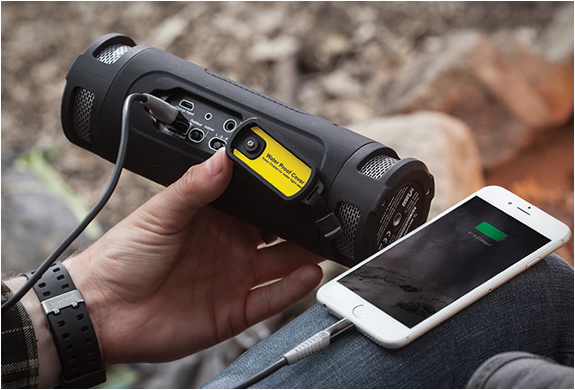 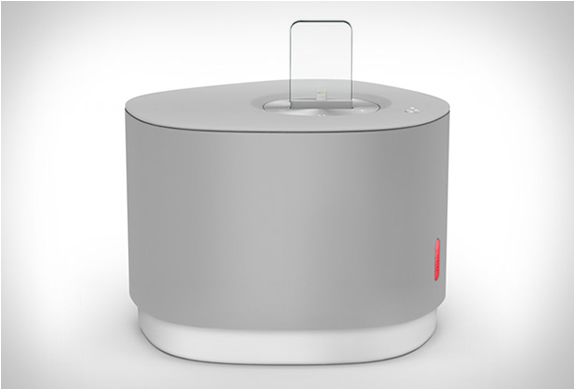 Its lightweight, carbon steel body is built tough to survive anything, and tackle a bevy of tasks with ease. 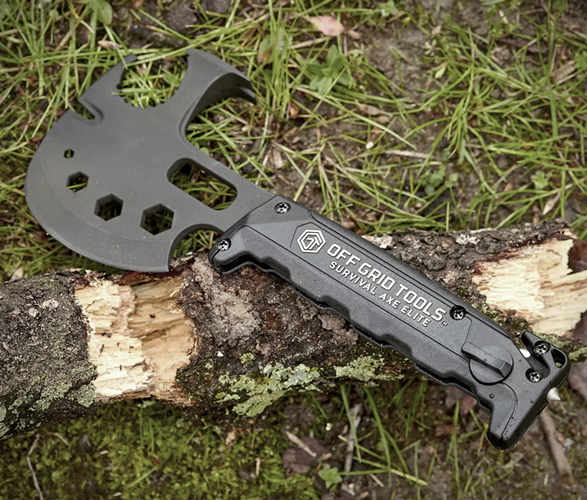 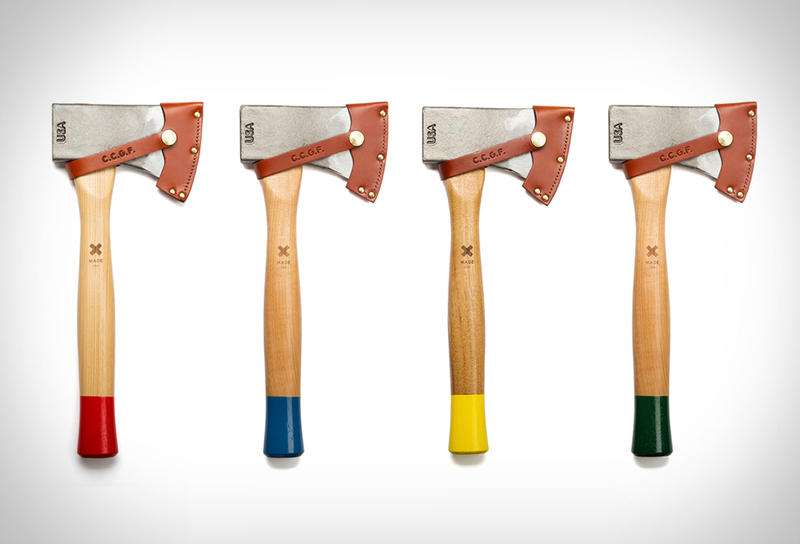 It features a hatchet blade hammer, a pry bar/wedge, sharpened hook, nail puller/wire twist, hex wrench, spanner, gas shut-off, folding sawzall blade, can opener, box cutter, bottle opener, glass breaker/punch, seat-belt cutter, and comes wit a custom leather sheath for safe storage.